This spectacular underwater giant has a diameter of 49mm, a case thickness of 15.25mm, and a volume of 565.2mm3. 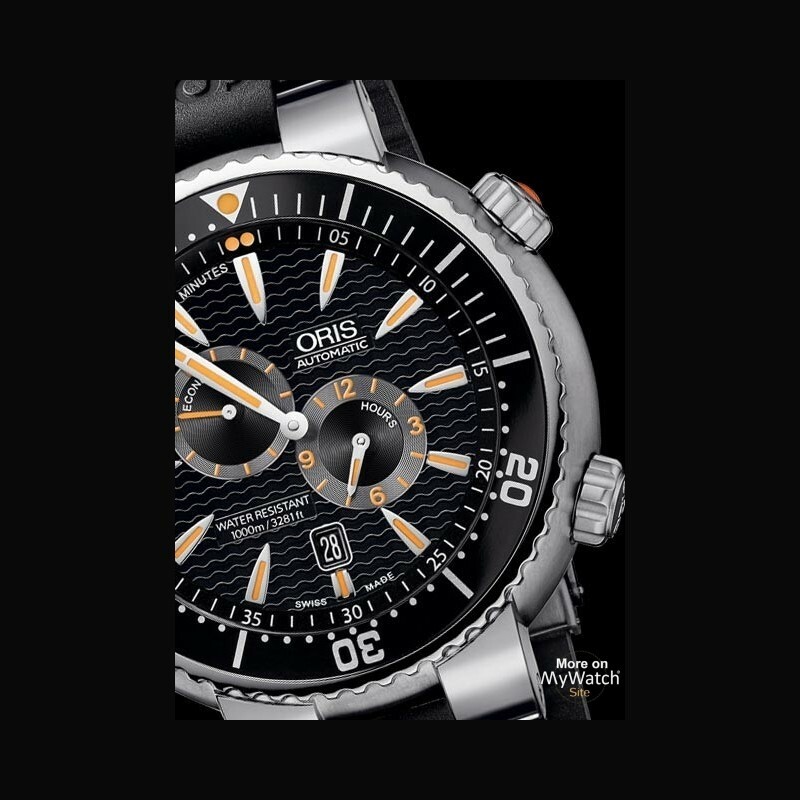 Quite simply put the Oris Regulateur “Der Meistertaucher” is the biggest watch we’ve ever produced! 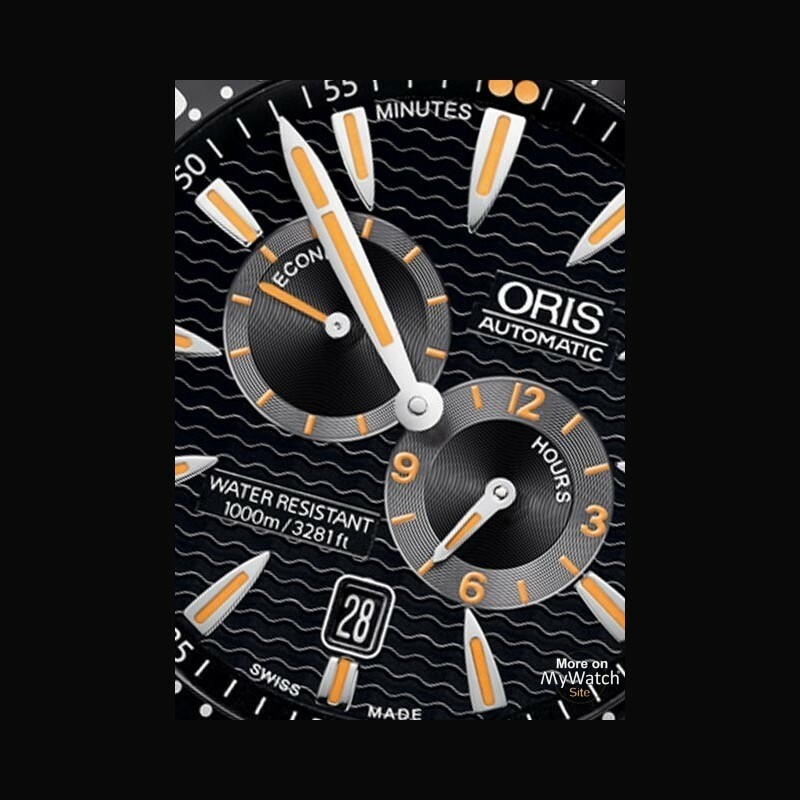 But big really is beautiful – and practical – in the Oris world of diving. In fact, the bigger the better! 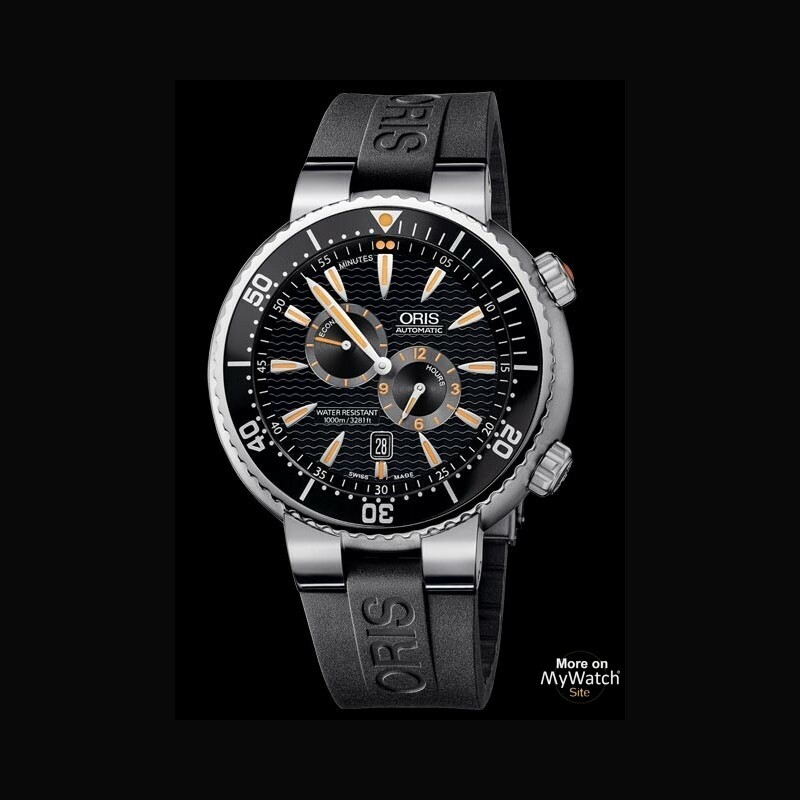 This essential divers’ watch is highly visible underwater and not just because of its size. 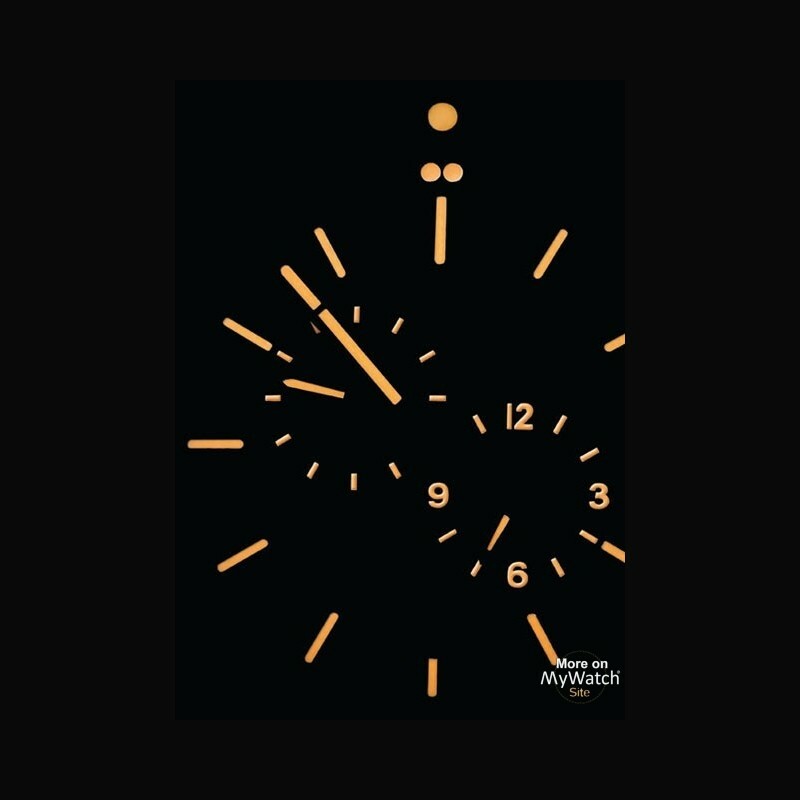 The special dark orange Superluminova inlays of the indices glow brightly – even in the darkest of waters. 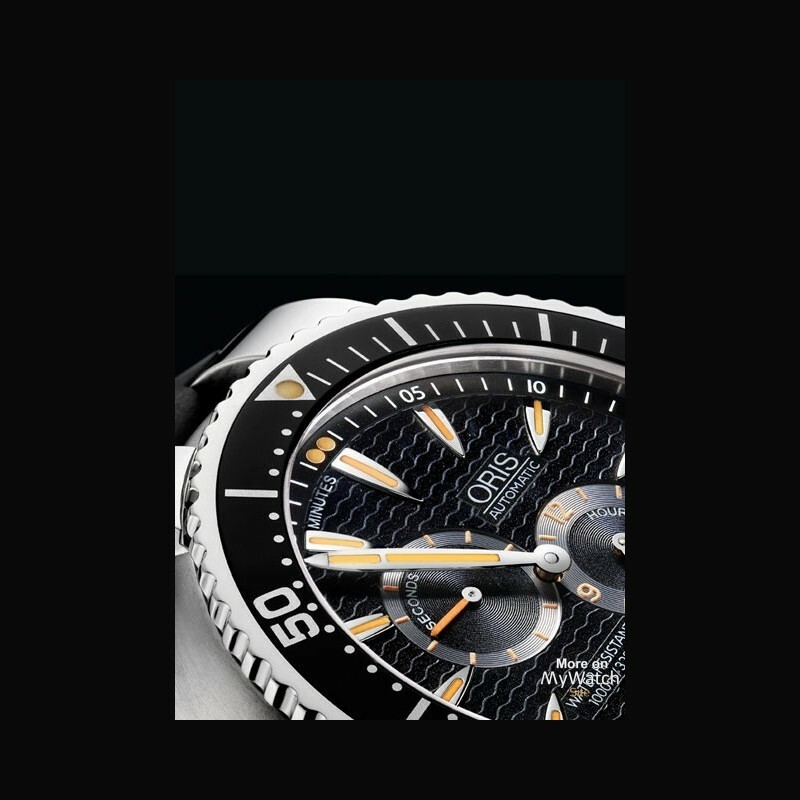 Thanks to the special Regulateur movement with its separate minute, hour and small second displays it’s also crystal clear when it comes to diving safety. The screwed crown makes the watch doubly safe as accidental adjustments are almost impossible. 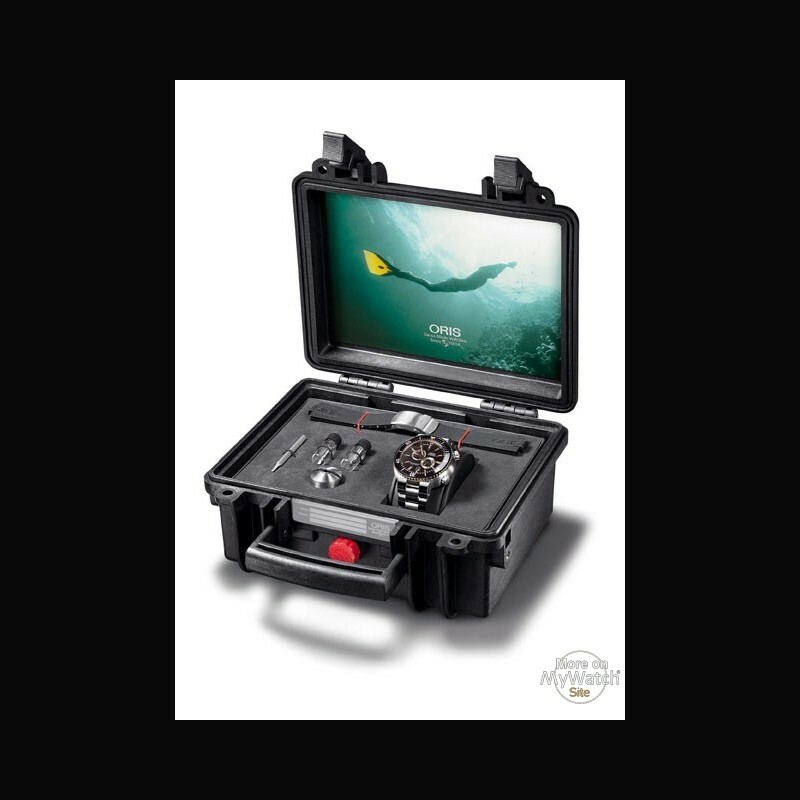 Waterproof to 100 bar/1000 metres and with a screwed helium valve it really is a must for all serious divers. But this magnificent beast is just as at home on land as it is in the water. The subtle black dial with printed wave design and the lightweight titanium case make it a gentle giant – not out of place at home or in the office. 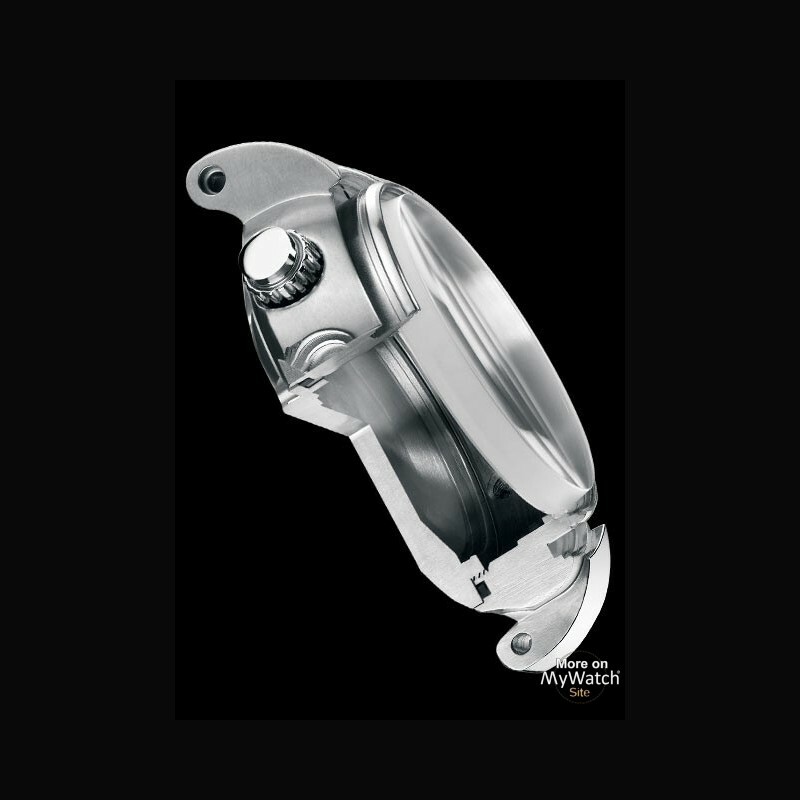 The whole huge watch is regulated by a tiny spring just 0.035mm thick. 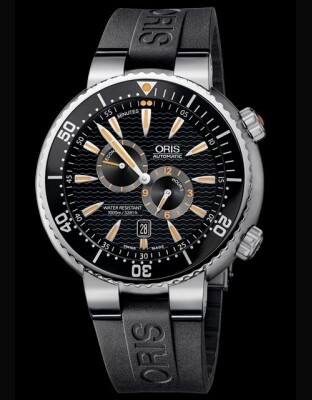 When it comes to style and function in the Oris world of diving size really does matter. 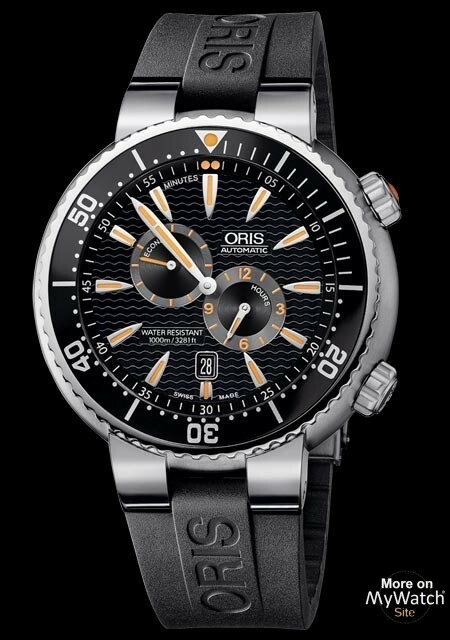 That’s why Oris is the Intelligent Choice.